To join and level up on Hyomin’s Fan Cafe, start by creating a Daum account. 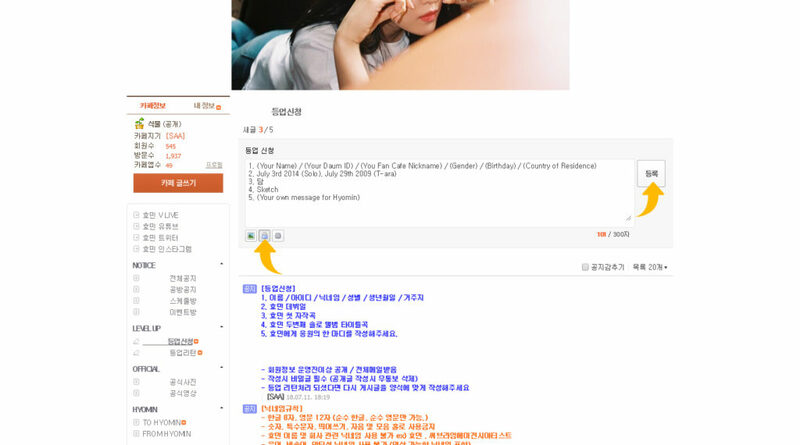 Click the orange button in the left sidebar that reads 카페 가입하기 (Join Cafe). 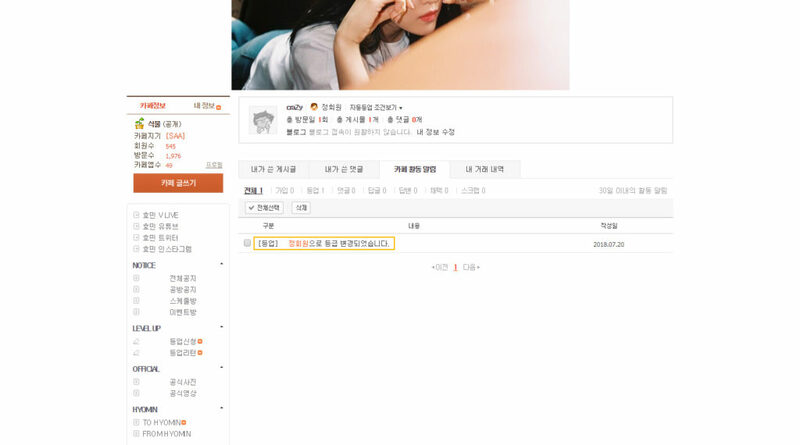 On the next page, in the 닉네임 (nickname) field, write you desired display name. 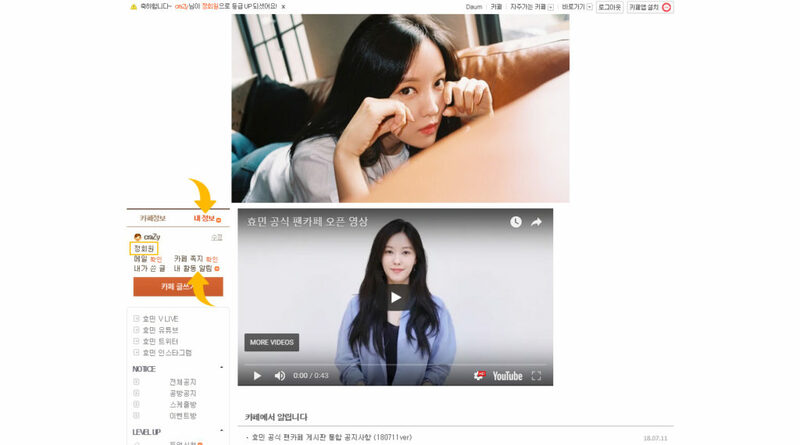 Do not use, including any variation of, Hyomin, her agency, or any celebrity name as your nickname. Do not mix Hangul and English, and do not use special characters. Please note, a nickname and Daum ID are two separate things. You may have different nicknames on different fan cafes. 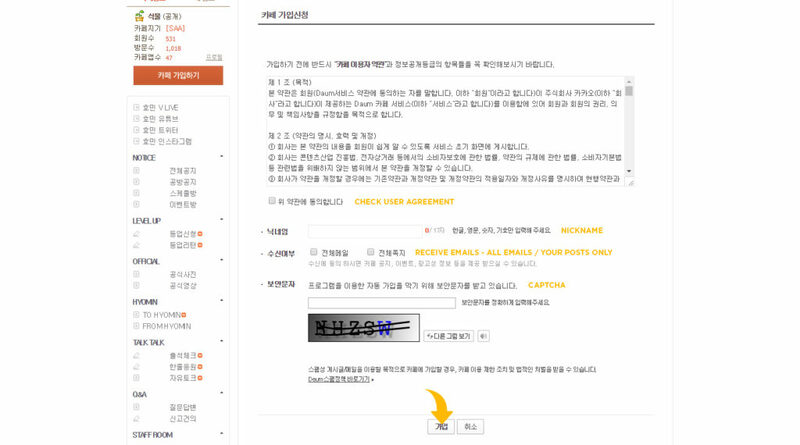 You may make your nickname the same as your Daum ID, so as long as they follow the rules. Next, select 전체메일 if you wish to receive email notifications (for announcements, events, etc.) from the fan care. Select 전체 쪽지 if you only wish to receive notifications regarding your own posts and topics. In the next field, write the given CAPTCHA. Once you’re done, click the 가입 button at the bottom to complete your registration. Once you’ve signed, the next step is to level up. In the side bar, under Level Up, click 등업신청 (Level Up Application). You are asked to fill the provided form. IMPORTANT: before you post your form, you must lock your post. Click the padlock icon to lock your post. Your application is complete. Check back later in the day or tomorrow to check your status. In the sidebar, on the top, click 내 정보 (My Info). 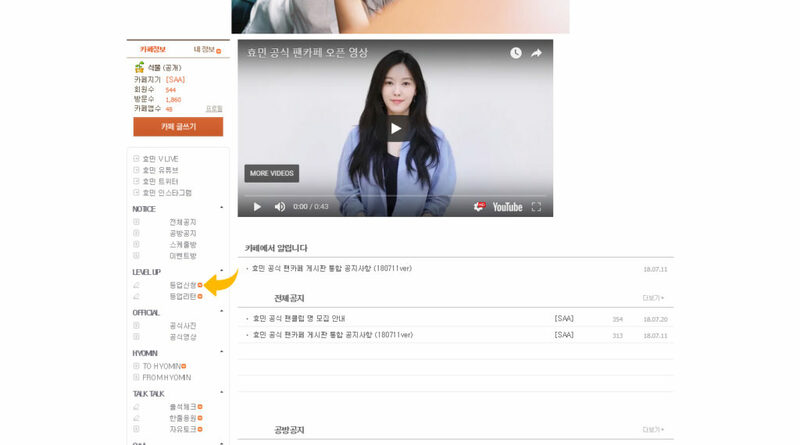 Under your name, if it says 정회원 (Official Member), you level up application was successful. You can also check 내 활동 알림 (My Activity Notification) for a confirmation alert. If it says 준회원 (Associate Member), check back later or check your Activity Notification to see if there was any issue with your application and it has been rejected. In such case, simply resubmit your application but make sure to double check for any errors.